In over two hundred years, only the members of two families have lived in the historic mansion, first built by General Andrew Porter in the late 1700's. General Porter had quite a few illustrious descendants, including two sons who became governors and a great-granddaughter who beame a First Lady (yes, Mary Todd Lincoln had roots in Montgomery County). When Andrew died, he was buried in Harrisburg with his first wife, Elizabeth McDowell, but his second wife, Elizabeth Parker, lived in Norristown until her death in 1821. At that point, the mansion passed to the Knox family, when it was purchased by Andrew Knox, who, in turn, passed it to his son Thomas P. Knox, a most unfortunate man. In 1846, Thomas lost his wife and three of their four children, probably to a disease of some type as their deaths spread across weeks. The only child to survive was Ellen, who married Joseph Fornance; their son Joseph's wife Ruth ended up being the last family member to live in the house, up until her death in 1982. 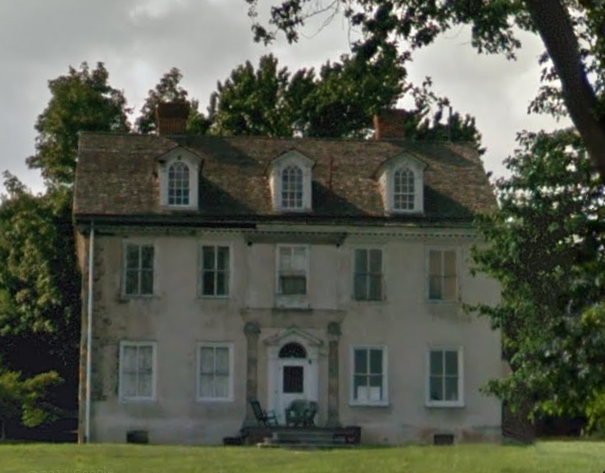 Today the property is being leased to the Norristown Preservaton Society, who are determined to restore the mansion to its former dignity. Like most old houses, Selma has its fair share of oddities - footsteps sound above, cabinet doors open on their own, disconnected bell systems still manage to ring, and the quiet murmurs of barely heard voices remind one that the house is still occupied in some fashion. Occasionally, the laughter of children is heard and the smell of cigar smoke lingers in the air. For the most part, whatever spirits reside in Selma are peaceful, though a servants' bathroom on the third floor has been the scene of a rather more disruptive emcounter. Researchers in the house near the bathroom saw a blackish blob rise up from the bath tub, filling room and setting off all their detection devices.